So most of you have heard me talk many times about Smiley360 and all the great missions I get to do with them. I was recently chosen to help spread the word about Woolite Complete. I had so much fun on this mission. I was given several links to share and a new commercial with Rob Zombie. I decided to go ahead and download a coupon myself to see how I liked it. 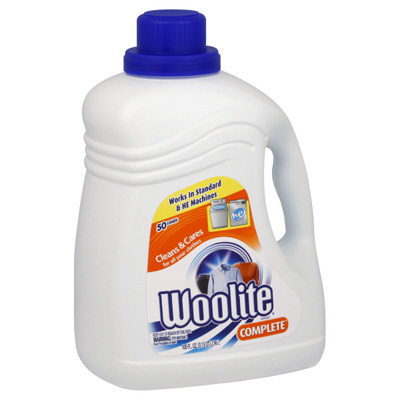 I must say I have really enjoyed using Woolite Complete in my laundry. If you would like a coupon for $2 off you can head over to Woolite's Facebook Page and get a coupon. Also take a minute to watch Rob Zombie's commercial. I'm so excited that I have also been chosen to receive a free bottle from Smiley360 :O) to start on your way to Smiley360 missions head HERE. Thanks again Smile360 and Woolite!